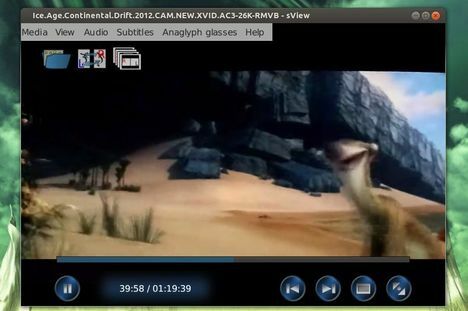 As you may know, sView is a stereoscopic 3D media player which plays 3D images, videos, CAD models. For each sort of media sView provides independent application with customized user-friendly interface. The 3D Image Viewer displays images and photos in most popular formats including JPEG, PNG, MPO, BMP, EXR, TGA, WebP and many others. Actual decoding performed by FFmpeg framework, and, optionally, DevIL and FreeImage libraries. The supported formats of 3D Movie Player is very large thanks to FFmpeg framework including MKV, WebM, OGM, AVI, FLAC, RMVB and many others. The Tiny CAD Viewer loads and displays CAD models supported by OpenCASCADE Technology framework (BREP, IGES, STEP). Viewer supports different presentation modes including orthogonal and perspective projection matrices as well as stereoscopic output. The official ppa repository supports Ubuntu 13.04, Ubuntu 12.04, Ubuntu 12.10, Ubuntu 10.04, Ubuntu 11.10 and their derivatives, such as Linux Mint and Elementary OS. Once installed, you can open the app from Unity Dash. Or choose open with sview in files’ right-click menu.